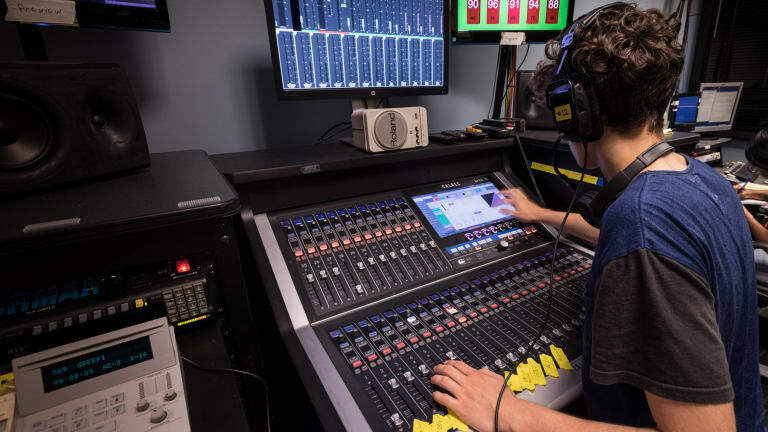 Anyone wishing to embark on a career in broadcast audio has a few choices when it comes to education and training, with the emphasis on the word few. The topic is often rolled into larger courses at colleges and universities, if it’s addressed at all, and then only at those schools — mostly state institutions — that have sizable communications programs. For-profit technical academies, even those largely predicated on audio, have largely avoided broadcast sound as a standalone subject, focusing instead on music production and, more recently, on live sound. Because state and for-profit universities continue to focus on development of talent for broadcast, the closest that many students get to the audio side is learning how to clip on a lavalier mic. On the other hand, training elements in broadcast audio abound through the efforts of manufacturers whose equipment forms the infrastructure of the industry. However, those elements are, understandably, part of those companies’ sales and marketing strategies and thus focused largely on their own products. Full Sail University emphasizes broadcast audio in its curriculum and has a close relationship with ESPN. Some for-profit schools continue to place purposeful emphasis on broadcast audio as a subject. Full Sail University has maintained a close relationship with ESPN for years through the sports broadcaster’s parent company Disney, whose theme parks have been a regular destination for Full Sail graduates in various entertainment-technology verticals. The Conservatory of Recording Arts & Sciences (CRAS), near Phoenix, has also made significant investments in broadcast sound, including its own 42-ft. expando remote unit, which has shared connections to NFL, MLB, and NASCAR sports events with both Fox Sports and NBC Sports. Among the reasons that higher-education institutions of all types have not pursued broadcast-audio education more intensively are that students of typical college age have less and less connection to broadcast television in general and that, at a time of declining enrollment numbers, schools are emphasizing courses that hold more allure for that key demographic. Robert Brock, director, education, CRAS, is heartened to see broadcasters take on his graduates as interns, with the goal of ultimately making them employees. But that model is up against what he says is an even more deeply embedded tradition of taking students at the end of the traditional school term in June and letting internships lapse at the end of the summer. The Conservatory of Recording Arts & Sciences, in conjunction with SVG, offered video-production professionals an instructional workshop on its professional-audio–education programs and the availability of interns and graduates. Another trade organization, the Society of Broadcast Engineers, offers some online training courses and certifications through its website. These, says Wayne Pecena, chair, Education Committee, SBE, are tuned largely to RF- and IT-related topics, in part because many of the potential employees it sees come from ex-military and IT backgrounds, where they might have received some training relatable to broadcasting and audio. Furthermore, he adds, as the broadcast industry more widely implements cost-containment strategies that reduce reliance on manpower, such as at-home production techniques, demand for trained engineers could ultimately be diminished, reducing the incentive for schools to address that training and creating a cycle of lessened opportunities overall. John Krivit, AES past president and chair of the organization’s Education Committee, says that, as a long-time faculty member at Boston’s Emerson College, which has a significant broadcasting curriculum — it taught the first course in radio in 1931 — he emphasizes the economics of professional audio as much as its technology. He does the same in a new position at Professional Audio Design, a Boston pro-audio vendor that sells to schools, among other customers.